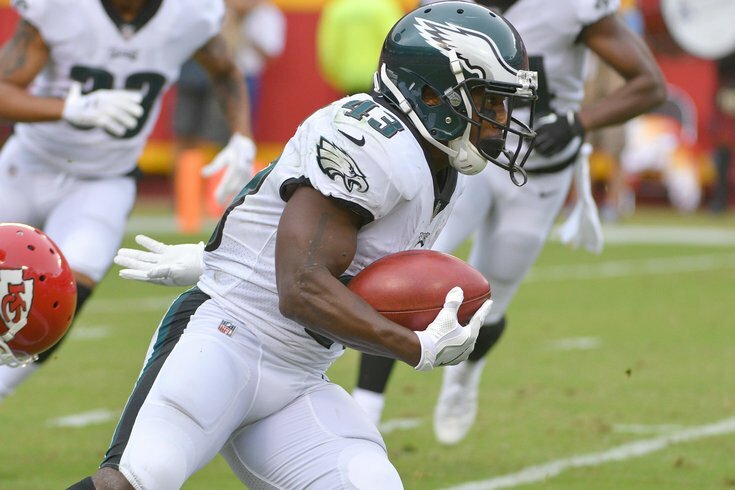 Darren Sproles will remain out a while longer with his hamstring injury. On Wednesday morning, Philadelphia Eagles head coach Doug Pederson said that running back Darren Sproles was likely to play Sunday night against the Dallas Cowboys, after having missed the last seven games with a hamstring injury. According to Adam Schefter of ESPN, Sproles aggravated his hamstring in practice, and is now expected to be out. The Eagles will be be forced to stick with their trio of Wendell Smallwood, Corey Clement, and Josh Adams at running back, but the effect of Sproles' setback could be felt the hardest on special teams. Earlier this week, the Eagles released DeAndre Carter, who had been filling in for Sproles as a punt returner. They likely did so in anticipation of Sproles returning to the lineup. Carter was snapped up on waivers by the Houston Texans. When asked on Wednesday who would return punts if Sproles can't go on Sunday, Pederson responded, "I'm not going to divulge all our secrets, but we have a backup plan if that's the case." One name that has come up is Golden Tate, who the team acquired at the trade deadline nine days ago. Tate has 92 career punt returns, but only four since 2015. Clement got an opportunity as a punt returner earlier this season, when he returned two punts against the Buccaneers, and four punts against the Colts. He was quickly replaced after muffing two punts (he recovered both) against the Colts. Nelson Agholor also has one career punt return, which came Week 2 against the Bucs.